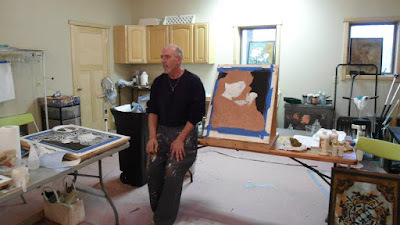 Gary Drostle has been producing site specific artworks since 1985. He aim is to produce works that are beautiful, complimentary to the surrounding landscape and architecture and which have the appreciation and support of their local communities all with the highest quality both in materials used and build quality. Gary was born in Woolwich in South East London and studied fine art at Camberwell, St Martins and Middlesex Polytechnic. He also studied for a short while in Italy at the Cararra School of Marble Sculpture. 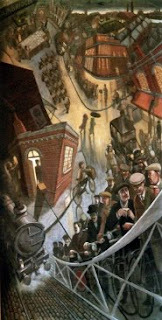 After leaving art college in 1985 he immediately began working as a public mural artist. Gary served on the executive of Haringey Arts Council for two years and has worked closely with many different community groups. Gary initially worked painting murals in hospitals for two years after which he became a founding member of Haringey Mural Workshop. When the mural workshop disbanded in 1989 Gary started Wallscapes, initially working in collaboration with Belfast artist Ruth Priestly. Gary was joined by Rob Turner in 1990 and they worked in collaboration as Wallscapes for over ten years, producing numerous successful public art projects across the UK. In 2001 Rob and Gary decided to go their own ways in order to explore and develop further their own work. 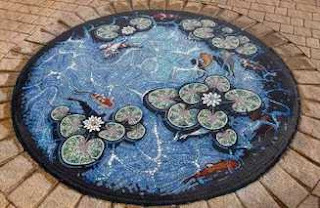 Gary now works from a studio in the centre of historic Greenwich in south east London, producing murals and mosaic works. 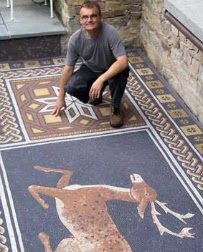 In the last few years he has gained international recognition for his mosaics completing major commissions in Bedford, Lytham St Annes, Staines, Cambridge and Washington DC and giving keynote speeches at the London conference of British mosaic makers and the San Francisco, Phoenix, Chicago and San Diego conferences of American mosaic makers. In 2005 Gary was elected President of the British Association of Modern Mosaic.